A singer songwriter who performs on guitar, banjo and concertina. She describes her own style as Traditional/fusion before smiling enigmatically. 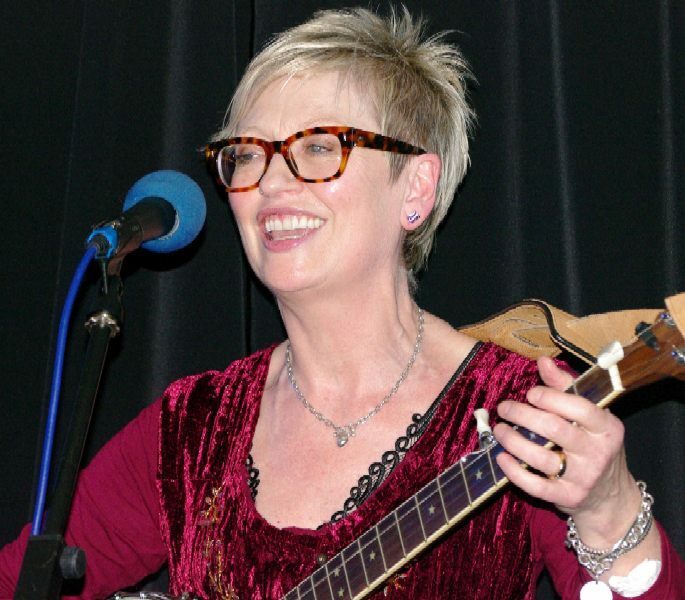 Best known for her own songs about life in Merseyside, she also includes several traditional songs in her sets which often have a maritime flavour. Gerry is one of the residents at Bromborough Folk Club, Port Sunlight. Together with Dave Locke and Vlad Brown who performed as "None of The Above", she performed at local folk clubs and festivals for several years. Then after a spell in a duo with John Williams she decided to cast caution to the winds and strike out on her own as a solo performer. Her songs are played regularly on local radio and she has performed live on Radio Merseyside several times. Now, with two recordings under her belt, she is determined to make up or a misspent youth and is on a mission to take her songs far and wide.